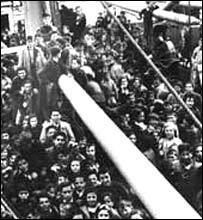 Archives of material about child refugees evacuated to the UK to escape the Spanish Civil War 75 years ago have gone online at the University of Warwick, as part of the largest English-language digital collection on the conflict. This week marks the 75th anniversary of the arrival of around 4,000 children from the Basque region of Spain. The youngsters left Bilbao by boat and arrived in Southampton on 23rd May 1937. More information here.